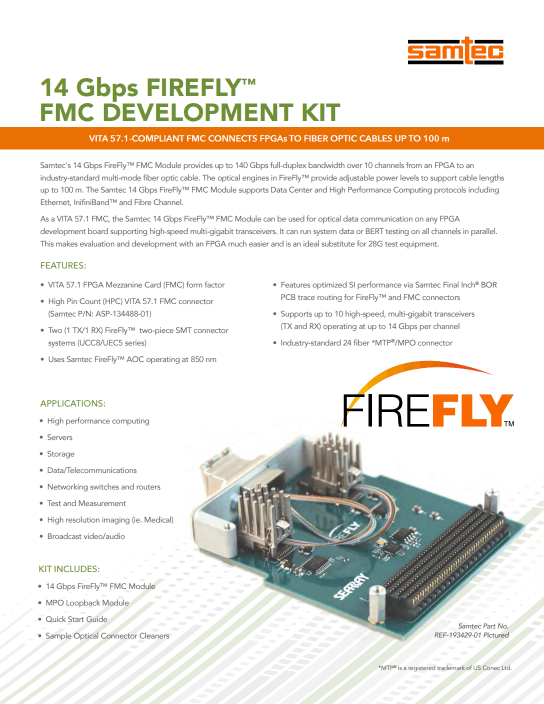 Samtec's 14 Gbps FireFlyTM FMC Module provides up to 140 Gbps full-duplex bandwidth over 10 channels from an FPGA to an industry-standard multi-mode fiber optic cable. The FireFlyTM optical engines provide adjustable power levels to support cable lengths up to 100 m. The Samtec 14 Gbps FireFlyTM FMC Module supports Data Center, High Performance Computing and FPGA-to-FPGA protocols including Ethernet, InfiniBandTM, Fibre Channel and Aurora. 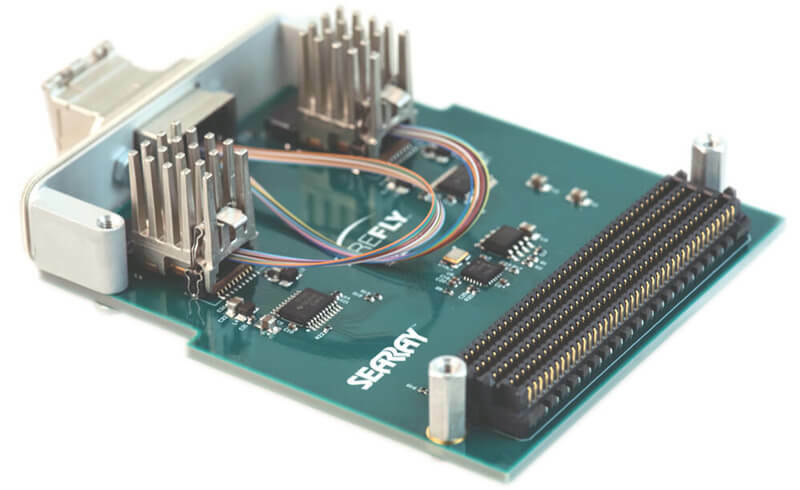 As a VITA 57.1 FMC, the Samtec 14 Gbps FireFlyTM FMC Module can be used for optical data communication on any FPGA development board supporting high-speed multi-gigabit transceivers. It can run system data or BERT testing on all channels in parallel. 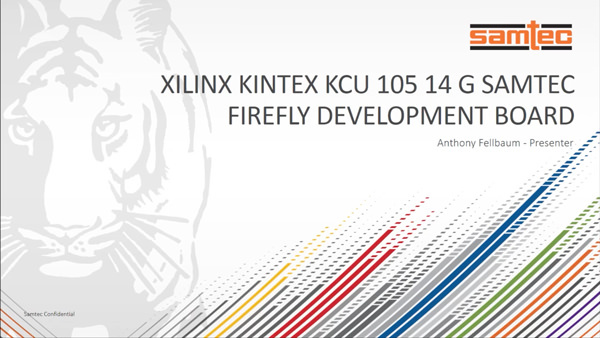 This makes evaluation and development with an FPGA much easier. Please see drawing REF-193429-01 for more detail.